Organisers of the Barellan Masters Games sincerely thank our sponsorship partners who have exceeded our expectations as we strive to make our Masters Games a success. We ask that you honour their commitment to us by supporting our valued sponsors. The Gold Sponsorship package is now available for any interested parties. If you would like more information please contact our President, Sal Irons on 0407 789 608. To quench your thirst after a hard day of competition call in and see Mel and the friendly team at the Barellan and District War Memorial Club. While you're there you can enjoy the tasty Chinese meals accompanied by your ice cold beverage of choice. New Zealand, The Athlete‘s Foot is a leading retailer of sports, leisure and comfort footwear. We are a family owned and operated stock and station agency based at Barellan specialising in livestock and real estate sales. Mark Flagg is the principal of the business and has 25 years experience as a stock & station agent. As licensee in charge Mark holds a Real Estate Agent licence, a Stock & Station Agent licence and is a registered auctioneer. Mark's wife Jo is a qualified accountant and handles all the administration for the agency. We endeavour to provide quality professional and personal service. You may not be able to get this from your bank, but it’s what you can expect from us. That's because looking after our members and acting in their best personal and financial interest is the reason we come to work each day. For all your Butchery needs, see the Pioneer Butchery at 11 North Avenue, Yenda. Serving your district since 1946. Licensed Stock, Station & Real Estate Agents - Livestock drafted and consigned to your preferred selling agent. Cash Grain Buyers. Stock general and bulk transport & Fertilizer. Gypsum and Lime supplies. We value your business - What we value we look after. GrainCorp operates at all points along the grain supply chain, from country storage sites, through to export elevators, supplying grain to the domestic market and exporting wheat, barley and oilseeds around the world. 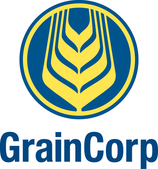 GrainCorp has more than 250 country elevators with a total grain storage capacity of up to 20 million tonnes, spread across a 2,700 km footprint, from Mackay in Queensland, to Portland in Victoria. We operate seven bulk grain export elevators, serviced by up to 20 contracted trains, with the capability of hauling up to four million tonnes of grain annually. GrainCorp also manages more than one million tonnes of road transport each year. GrainCorp ports elevate up to five million tonnes of grain in a normal year, and up to 1.5 million tonnes of non-grain commodities per year. Serafin Landpower is a locally owned company in Griffith, New South Wales. Serafin Landpower is your local agricultural superstore, selling new and used farm machinery, as well as spare parts and repairs on most makes and models of farm machinery. Temora Fuel Distributors has been serving the Temora and District community since 1998. We specialize in bulk fuel delivery, we carry a diverse range of lubricants, we maintain a presence across our area with fuel services available in Ariah Park, Ardlethan, Barellan, Barmedman, Quandialla and Temora .In addition, our friendly and professional staff are here to answer any questions you may have about our company or our services. 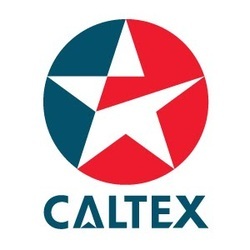 For quality Caltex Fuels & Lubricants in Griffith and surrounding Districts. John & Annette Waide Contracting offer a seed cleaning, drying & grading service to Griffith and surrounding districts. Cathy Hall is your local Hairdresser, open Thursdays and Fridays each week. For all your hairstyling needs at a reasonable price. Not just a Post Office but somewhere to buy cards & gifts, do your banking transactions, Medicare and Centrelink agent. Trish can help you with all your Postal needs. Pinnacle Accounting Partners provides an extensive suite of generalised and specialised accounting services to people and businesses in the agricultural, retail, manufacturing, medical, hospitality, construction and professional services industry. As a Griffith based firm that has been operating locally for more than 20 years, we understand the markets and business environments our clients operate in. Pinnacle is passionate about fostering local business success and understands the importance of professional guidance and effective financial management. Independently owned and operated and with a strong focus on people and service, Pinnacle's objective is to provide clients with impeccable advice and financial management. For all your Agricultural and chemical supplies. for all of your camping, fishing and outdoor needs.